The spring semester rapidly is coming to a close and for some that means graduation, an exciting time when hard work finally pays off and you receive the degree(s) into which you have poured so much blood, sweat, and tears. However, graduation also ushers in a time of nervous new beginnings and sad farewells. Coupled with the mixed anxieties of a new home, entering the job market, or beginning graduate school you must bid adieu to your campus community and the friends who made it your home. 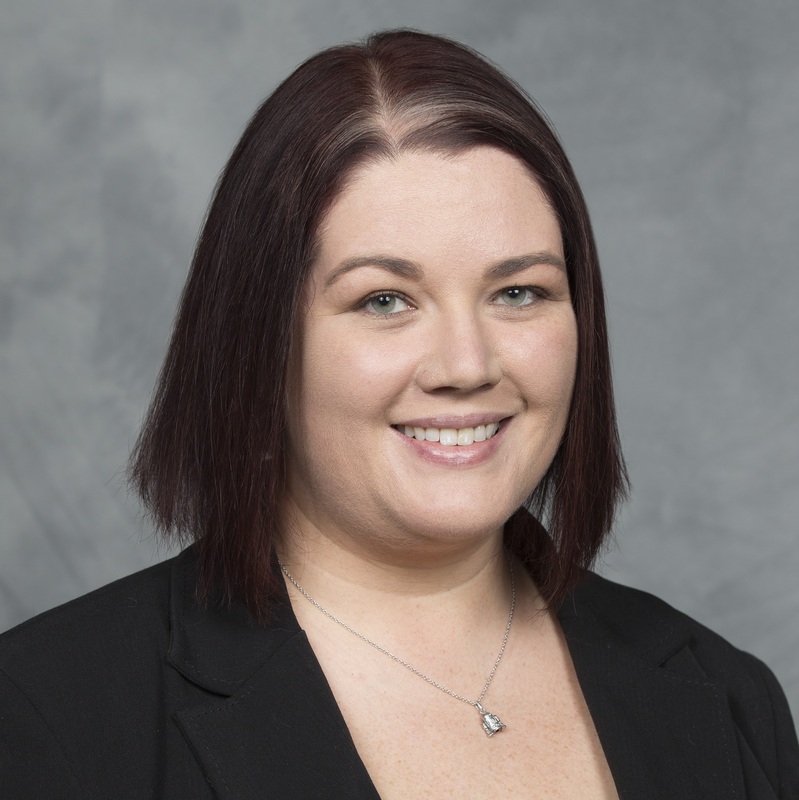 Amid these goodbyes you may rest assured that Sigma Tau Delta represents one portion of your life that can move forward with you, and today, as a fellow alumna, I’d like to share with you some of the alumni opportunities available to aid you in continuing to engage with Sigma Tau Delta post graduation. 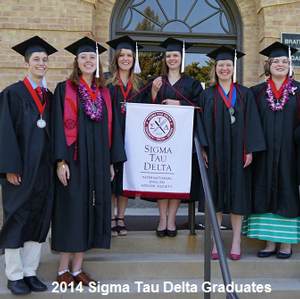 Southern Utah University‘s 2014 Sigma Tau Delta graduates. For those of you embarking on the treacherous journey that is graduate school—may the odds be ever in your favor!—your Society transition can be all but seamless. Check to see if your new institution has an active Sigma Tau Delta chapter. If so, once the semester begins reach out to your new chapter’s Sponsor to learn about any chapter-specific membership requirements (I was surprised by local dues at my new graduate institution) and prepare to dive into your new home. If you happen to be transferring to an institution lacking an active chapter, you always can reach out to faculty about reactivating an old chapter or creating a new one. However, your continued involvement with the Society is not dependent upon a faculty member committing to lead a chapter into greatness. 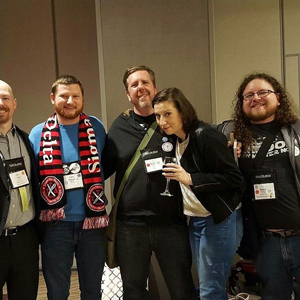 Continuing Affiliation: Although all alumni are lifetime members of Sigma Tau Delta, membership in the Alumni Epsilon Chapter will facilitate affiliation with Sigma Tau Delta regardless of your current place of residence or your ability to connect with local chapters. Continuing Education Scholarship: Alumni members are eligible to apply for up to $2,500 to further their education on a part-time or non-degree-seeking basis in programs of study that are consistent with Sigma Tau Delta’s mission. Alumni Epsilon annual membership dues are an incredible value at only $13—you also can purchase a two-year membership for $26. Apply now and your membership will transfer to Alumni Epsilon on July 1. In addition to joining the Alumni Epsilon Chapter, all members are encouraged to follow Sigma Tau Delta on social media. Sigma Tau Delta publishes a wide variety of interesting, Society-related content across all our social media platforms; however, several of these platforms are more closely attuned to alumni needs. LinkedIn: The Sigma Tau Delta LinkedIn page is the perfect environment to share advice on the job market, career opportunities for English majors, suggestions for nailing a job interview, and tips and tricks on indy publishing. Additionally, LinkedIn’s extensive networking platform and job listings make it the perfect resource for entering the job market and helping you climb that proverbial ladder. Alumni Facebook Group: This group is open to all Sigma Tau Delta alumni as a means of maintaining Society ties. The group posts field-related articles as well as updates on Society events such as the convention, job opportunities, advice on the job market, and information on Alumni Epsilon happenings. Alumni Epsilon Newsletter: Stay up-to-date on Alumni Epsilon goings on with the Alumni Epsilon Newsletter, housed within WORDY by Nature. And submit essays on how you are using your English degree post-graduation to be included in future newsletters! Finally, before you graduate make sure your current chapter updates the email address you have entered in Write Away, the online chapter management system. 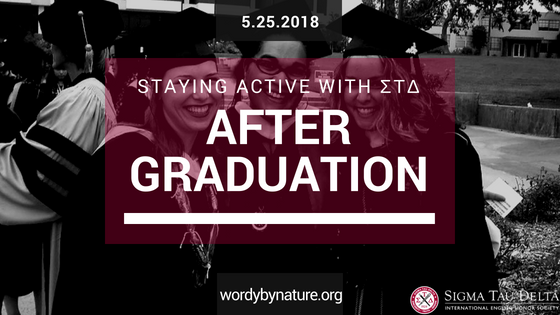 Alumni with current personal email addresses entered in Write Away will receive email correspondence from Sigma Tau Delta, including our monthly Footnotes newsletter and emails about our Society blog, WORDY by Nature. Sigma Tau Delta wishes you the best of luck as you move on, and looks forward to continuing our relationship with you. What are some of your unique or exciting post-graduation plans?